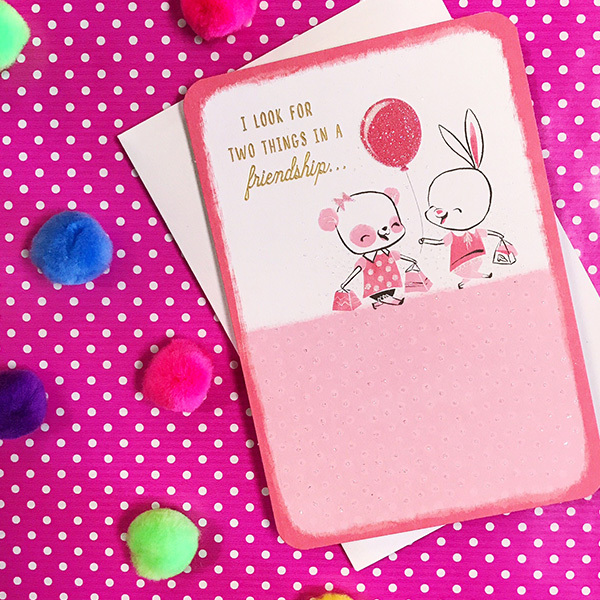 Whether it’s your friend’s birthday or just any old day, sending a card with a handwritten message is a great way to bring a smile and nurture the connection you’re lucky enough to share with them. Looking for some fresh thoughts on what to write? We’ve got some! A few of our tips lean more toward the short and sweet, and others work great as jumping-off points for longer messages. Whichever direction you’re leaning, feel free to tailor our ideas to fit your unique relationship with your friend. We’ve suggested lists of 3, 5, or 10, but you can make your list as long as you dare (maybe even 40 compliments for a 40th birthday?). You can always enclose an extra sheet of paper if needed. You’re one of the kindest people I’ve ever been lucky enough to know. You’d do anything for the people you care about. You’ll always be one of my very favorite people. This kind of compliment is not for every friend…but if it’s right for yours, you’ll know it right away! You’re not one to sugarcoat things. You tell it like it is. We love to hate all the same things! You have a refreshing inappropriate streak. You’re the one I can talk to when I don’t have anything nice to say. Remind your friend how much you appreciate them. The more specific you can be, the better. I cherish you, and I cherish our friendship. It means so much to know you’re on my side. We just clicked right from the start. We’re surprisingly alike deep down where it really counts. We’ve been friends so long. We know each other so well. We can be real together. We’re there for each other. We put the “party” in party of two! Below are a few possibilities, but explore favorite books, songs, movies or other sources to find some friendly words that would have special meaning for your friend. Also, check out our list of friendship quotes. Send them a little something in the envelope! Go old school and make a little friendship bracelet or send one of these cute gifts.